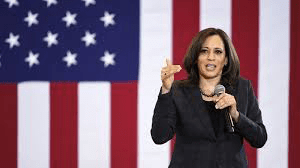 Kamala Harris wants to raise teacher salaries by $13,500 if elected…. There is no chance of this…. But it is good to see someone trying to have their backs against the Republicans who have never forgiven them for not backing George W. Bush back in the day…. The plan is one of the early key policy priorities of her 2020 run for the White House. “I am declaring to you that by the end of my first term, we will have improved teacher salaries so that we close the pay gap, because right now teachers are making over 10 percent less than other college-educated graduates,” Harris said during the campaign event Saturday at Texas Southern University. Ahead of the formal release, a campaign aide said the plan would raise average teacher pay by $13,500. Under Harris’ proposal, the federal government would be responsible for getting the ball rolling with the first 10 percent of the funding needed. States would then be able to access federal matching funds that would provide $3 in federal support for every $1 of new state money, up to the point that the estimated gap with other college-educated workers closes. “The federal government will make an additional targeted investment beyond just closing the gap to pay teachers in America’s highest-need schools more than other comparable professionals in their state. Students and teachers of color disproportionately learn and work in these schools,” a Harris aide said in a statement…..
Kamala Harris on Monday announced raising $12 million over the first quarter of her presidential campaign, setting an early high bar for the sprawling Democratic field challenging President Donald Trump in 2020. Half of the total haul for Harris, a California senator, was raised online, including more than $1.1 million in the final week of March, when she spent heavily to attract more donors ahead of the financial deadline. The average online contribution was $28, her campaign said…..